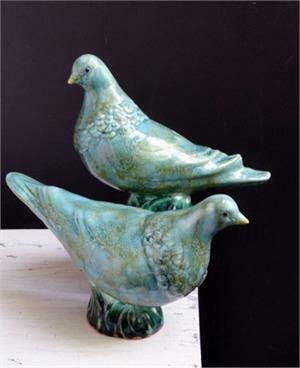 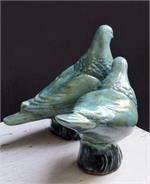 Our largest pair of birds, the Ruff Neck Pigeon pair makes a bold statement for a table top or mantel. 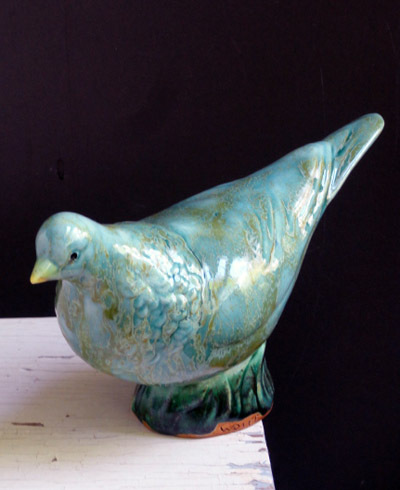 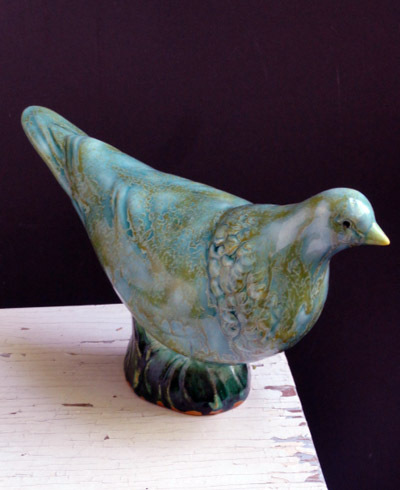 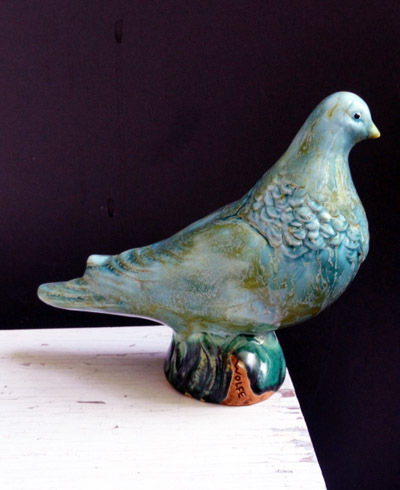 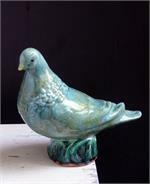 The glaze is an all-over frosty light blue with a dark green base. They are 10” long and about 6 inches tall.